Famous for its dramatic fall foliage, cheddar cheese and maple syrup, anglers should know that Vermont also has great fly fishing. As the second least populated state in the nation, what Vermont lacks in people it makes up for in fish. 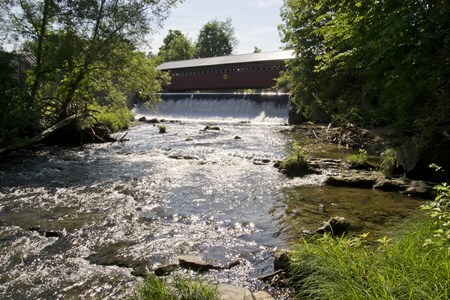 Lurking under many of those quaint, covered bridges are big, beautiful trout – lots of them. When fishing in Vermont, consider staying in Manchester, an old-style, New England town of 4,400, with all the amenities of a modern, weekend getaway. Alongside the town runs the Battenkill River, still home to the famous tackle manufacturer, CF Orvis Company, first founded in 1856. A short distance away, are two additional jewels, the Mettawee River, 5 miles away, and the Walloomsac, approximately 15 miles from Manchester. Pick up any guide book and you’ll find everyone agrees these pristine rivers flow through gorgeous scenery – flowered meadows, virgin hemlocks and tall stands of native hardwood trees – the prettiest angling in the East. For friends and family not inclined to fish, the area has much to offer. The Vermont season opens the 2nd Saturday in April and ends late October. Late spring and late fall tend to the most favored times to fish. Fly into the Albany International Airport and drive for about 1 ½ hour. Fly into the Burlington International Airport and drive for about 2 hours. Even though our streams and fish are not large, our trout are fiesty, and they will put up an exciting fight. I have fished the Northeast waters of Vermont and New York since I was ... morea kid, and I would love to help you make the most out of your day on the water. The Mettawee river and surrounding streams are full of exciting fishing opportunities for eager anglers. 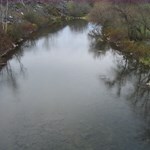 I have been guiding the rivers and streams near Manchester, Vermont for years, with a variety of skill levels. 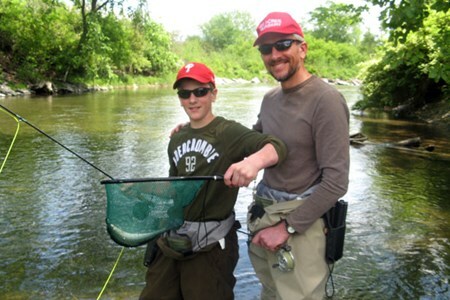 The Walloomsac river offers great opportunitis for trout and other wild ... morefish species. Book a day on the water and our guides will help you make the most of your time fly fishing. Our guided Battenkill River wade trips will take you on an adventure to catch wil trout and a mixture of other wild and stocked fish near Manchester, Vermont. The Battenkill is one ... moreof the most famous fly fishing rivers in the area, and other local streams are available depending on conditions. Book your adventure today! This is mainly a small, quick freestone creek. Unstocked since 1970, it holds a good population of wild rainbow and wild brown trout. Easy to wade, with good hatches all season long, ... morethis is a great classroom for the beginning or experienced fly fisher. The classical trout river. One of America's most beautiful trout streams. 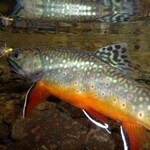 Wild Brown and Brook trout challenge even the most skilled angler. Hatches are prolific and complex. Its excellent ... morewater quality and varied habitat make this river a great producer of trophy browns that are the brood stock sustaining a good population of smaller fish. The brookies are easier to fool, while the browns require a bit more effort and knowledge. 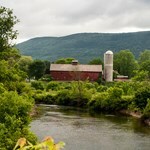 Severely damaged by Hurricane Irene just a short time ago, by all reports the river not only survived - it is thriving. Originating in the wilds of the Green Mountain National Forest, ... morea vast area of preserved trees, abundant animal life and recreational trails, this short tributary of the Hoosic River, (only 17 miles long) is widely recognized for its great fly fishing. In the past, the river was diverted to power knitting mills and shoe factories and could at times, nearly run dry. Today it runs freely and forcefully with rapids ranging from Class I to Class III, which probably accounts for its nickname, The Roaring Branch River. 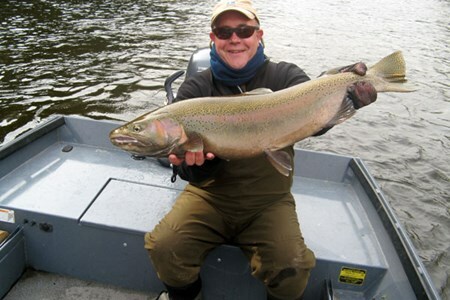 Known for its headwater’s brook trout as well as rainbows and browns that can be found throughout, in 2014 the state added 1000 2 year old, 14 inch long trophy trout to the river. Raised in the Bennington Fish Hatchery the mix consists of 750 rainbow and 250 browns. There are also proposals to reset limits on the number and size of fish that can be taken from the river and to lengthen the fly fishing season for portions of the river. 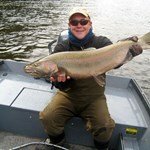 The best sections to fish are from the Paper Bridge to the New York Border. 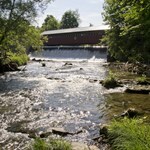 A mere 15 miles from Manchester, the river is also not far from the town of Bennington and scores of other tourist attractions. If you have family or other members of your party that don’t feel like fishing, there are museums, shopping and historical sites to visit, not to mention other outdoor recreational opportunities. A mere five miles from Manchester, this freestone, spring-fed river, like the Battenkill, begins, near Dorset in Vermont’s Green Mountains. A tributary of Lake Champlain, the 28-mile ... morelong Mettawee is among Vermont’s most highly regarded trout streams, boasting 500 fish per mile. 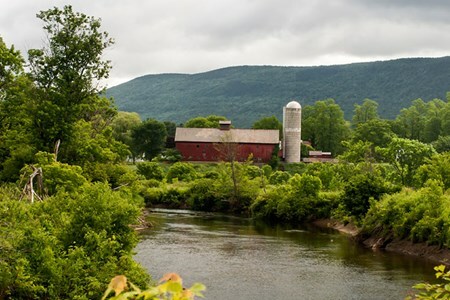 The landscape along the 16-mile stretch of river that runs through Vermont, is dotted with rolling hills and charming farm houses, providing a postcard view of New England. To access the upper part of the stream follow Lower Hollow Road out of Dorset. At its headwaters, you can expect to find native brook and rainbow trout. Following state highway #30 offers river access as do its several bridges. 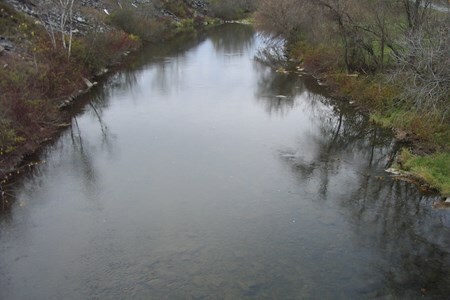 The mid-section of the river is made up largely of long rifles and pools. Pocket water here is scarce and the currents are mild. Continuing down, the landscape changes from farm to forest. In the lower section of the river you will find both browns and rainbows, some of which were stocked by the state in prior years. The best time to fish is late May and June. The summer months can be difficult so if you fish at this time, most guides recommend moving into some of the Mettawee’s many tributaries where the water is likely to be cooler. By the middle of September the weather begins to cool down and its possible to return to the main course of the river. Motivated by the impetus to spawn, the fish tend to be hungrier and less particular, making them easier to catch. Given the narrow width of the river, at some points a mere 20 feet across, it is easily waded and can be fished with relatively short rods. Before booking a trip on the Mettawee, inquire about variations in seasonal water temperatures and remember that you must return all fish between 10-14 inches. Considered one of the finest and most challenging trout fisheries in the country, the 28-mile Vermont, spring-fed stretch starts in the Green Mountains near the East Dorset town of ... moreBennington. From the border of New York, the river continues for another 31 miles in a southerly direction until it reaches Easton, NY and empties into the Hudson River. It is one of several rivers that form the 400+ mile Hudson River drainage basin. It’s also where the smart fish live. When fishing the Vermont portion of this river, assume the trout have earned PhD’s in evasion techniques and are there to test your mettle. Before 1975, Vermont stocked the Battenkill (NY State still does) but now it’s gone native and all the trout are wild. Since this is a catch and release river, by the time a fish is two or three years old, it’s probably been caught more than once and when it comes to flies, the fish have seen them all. As one observer summed it up, there are lots of sizeable browns in the Battenkill but they didn’t get big by being dumb. Near Manchester the river is scenic, narrow and characterized by soft bottoms, small pools and a few deep runs and rifles with mostly smaller brook and browns. The river widens as you approach Arlington, where the trout tend to lurk in slow moving pools. By the time you approach the state line the fish are typically 12 -16 inches long and more plentiful, but rarely easier to catch. This freestone river is a terrific choice for experts and for anglers ready to up their game. The New York season is year round while Vermont is limited from April - October.